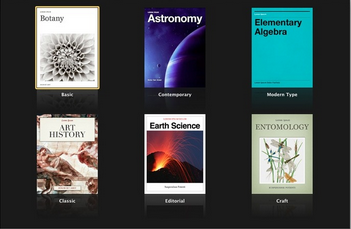 In conjunction with the release of iBooks app, the digital textbook app, Apple has also announced the launch of its new iBooks Author app that is designed specifically to help users create ebooks.. It seems quite obvious that Apple is moving some of the focus of its technology into education. They knows that there is a big potential in this ' promising market " and so a few smart investments in it will boost up their company's gainings. As educators and educational technology experts we would but welcome all these innovations and wish that the competition would heat up between all the major corporations to come up with new products to fooster education. Users can integrate some interactive widgets into their pages such as images, 3D objects, video, photo slideshows, quiz questions,custom HTML and keynote presentations. iBooks Author seems to be a great idea in the democratization of knowledge sharing and information access but to what extent this new experience will succeed is a question that needs some time to see how things go before judging the usability of this app.